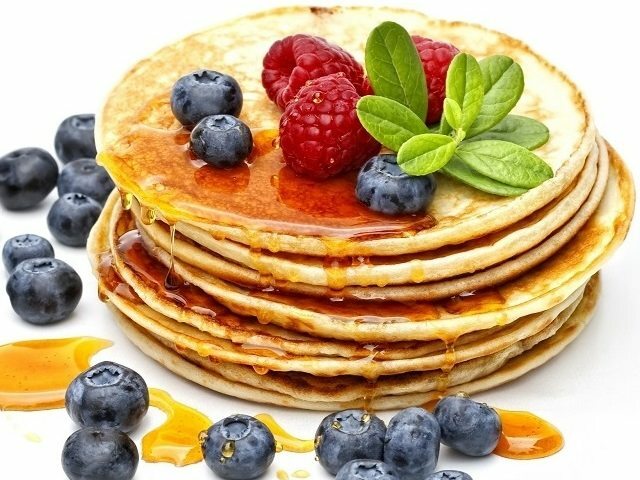 Pancakes on Shrovetide with honey and fruits. The pancakes (Blini) are essential to the celebration of Shrovetide (Maslenitsa) in Russia. Traditionally, in the days of Maslenitsa, pancakes are baked in very large quantities and are given to friends and the family throughout the week. People believed, that the hot round golden pancakes, embody a little of the sun’s grace and might help to warm the frozen earth. On the other hand, the circle has been considered a sacred figure in Russia, which protects people from evil.